Jaipur has a reputation with designers in the know as a shopping paradise . 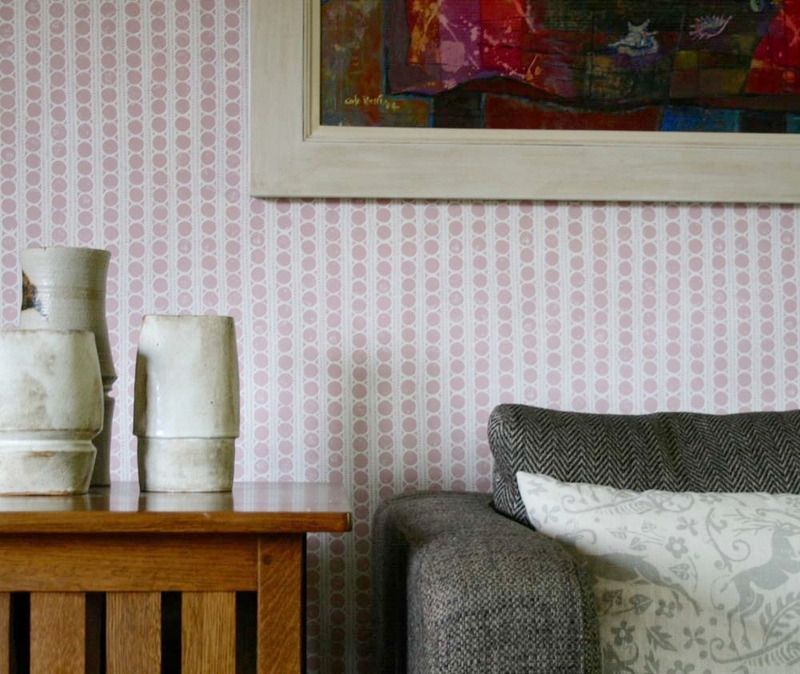 As a designer of wallpaper and furnishing fabrics I work with some of the best interior designers in the world. I'm always looking for interesting new products that ARE ORIGINAL, inspire & MOST IMPORTANTLY ARE handcrafteD. I’m happy to say that LAST WEEK Jaipur did not disappoint! Our first stop is Jaipur Modern, a cool contemporary retreat from the frenzy of Jaipur, both a clothing & interiors shop it also has a lovely cafe ‘the kitchen’ set in a 1950’s white bungalow surrounded by tropical palms. We order lunch from the vegetarian menu featuring INVENTIVE salads and a special quinoa menu that would impress even Alice Waters. I have the delicious quinoa burger in a spectacular pink beetroot bun with a refreshing lime and mint soda. My particular favourite is Andraab, which has to be the most beautiful shop in the entire world. The interior is sparce & minimal but authentic with its use of vintage details, objects & pictures . The scarves & throws are woven in the softest yarns & embroidered or printed with gold or silver leaf . Satayam is a FABULOUS store with a branch outside City Palace; the fabrics are hand woven in khadi or cashmere. 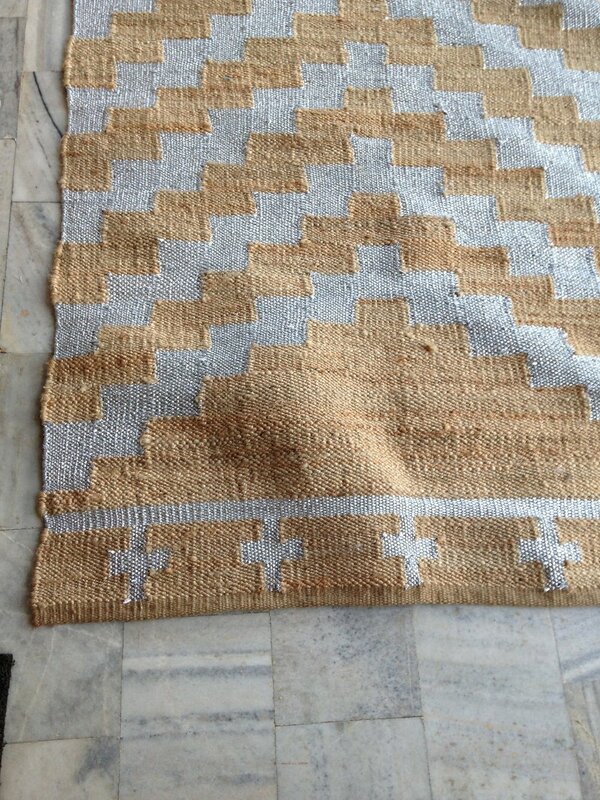 We buy chic jute rugs woven with a geometric pattern in silver or gold. These stores don’t offer the usual expectations of ‘ethnic’ Indian design but a unique & sophisticated interpretation that elevates & celebrates the crafts that India & Rajasthan in particular has to offer. It goes without saying that you must drop into ‘Bar Palladio’ for a cocktail whilst at Narain Niwas . This bar & restaurant is a favourite of the design & fashion set serving Italian food in a vivid peacock blue interior with Mughal murals within a magical garden best seen by night (accompanied by A heady margarita). No trip to Jaipur is complete without a visit to Anokhi; the signature store is based here, as is the company HQ & museum of textiles outside of Jaipur.The café is a joy, a serene block printed refuge of comfy rattan chairs with a menu of home baked cakes, imaginative salads & organic vegetarian delights. Refuelled with fresh corn fritters & a fennel salad we dive into the wonderful & colourful world of Anokhi. Filled with charming block printed quilts, cushions & napkins. Anokhi has built a reputation as the go to store for sophisticated well made interior products since the 1960’s. Also for those of you seeking the perfect quilted jacket or a natural indigo printed dress handmade by Rahjastani crafts people, Anokhi will not fail you! What is so refreshing about Jaipur is that unlike other cities it’s not been taken over by corporate brands or chains. Long may this last! It’s still possible to find very special stores and designers who make and sell their own products, which are unique, individual and most importantly handcrafted.